I am renewed. I am! I strain to hear it all. Life herself is my shrine. Barnet is a poet of heightened imaginative feeling in quest of unexplored and mysterious world. Rickett aptly observes, "The subtle sense of mystery is a complex emotion compounded of awe in the presence of the unknown, wonder in the presence of the known and an exquisite response to manifestations of beauty wherever they may be found that we may call for a better word -Rapture." This intelligent comment is truly applicable about Barnet's collection The New American. 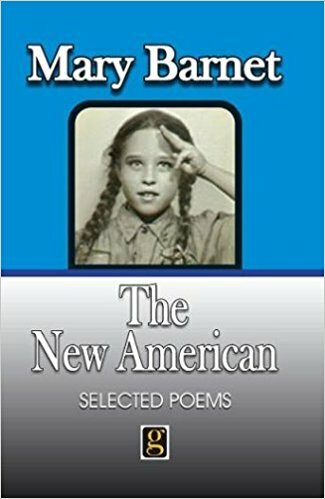 The poems included in The New American are immortal for extraordinary lines: "I have all and nothing", "Yesterday's tomorrow is today", "All that I can see / Disappears before I can grasp it", "By my horse's dung the flowers cannot be defiled! ", " As always, I am writing in the darkness / By your side", " I think a poem, like a man, can bleed", "In silence there is a song", "There is no room for poetry here! ".